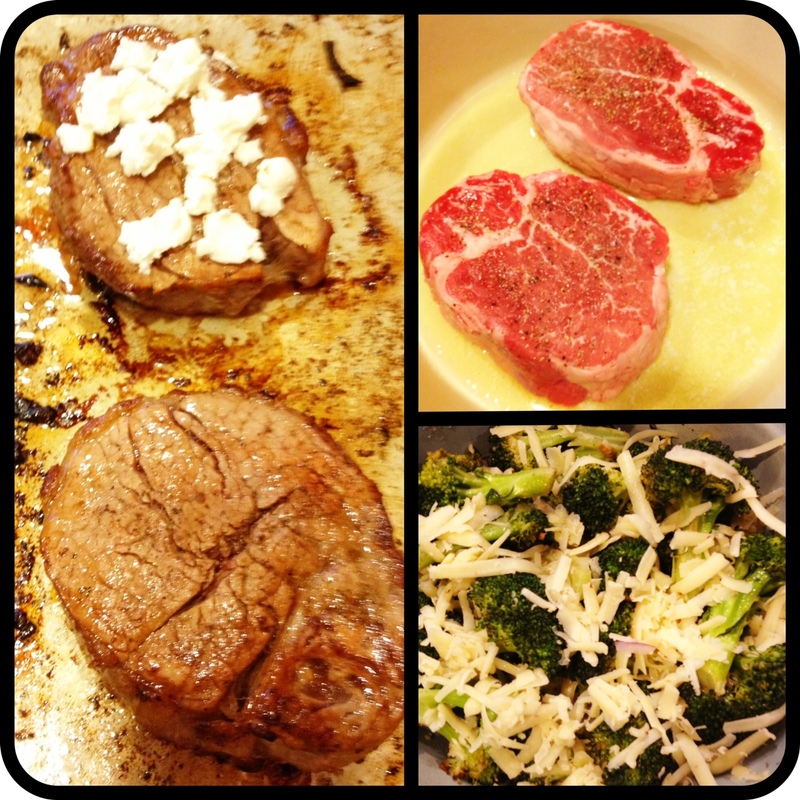 For some reason, this recipe feels so 1950’s to me, because you put the steaks under the broiler. When I first cooked them, I was nervous they would be disappointing (like when you compare a pan-fried McDonald’s Burger to a char-broiled Whopper). However, this is not the case. It may be that you can’t go wrong when cooking quality steak with butter…But I am just going to go back to picturing myself as a 50’s housewife. blurry action shot of the steak. There was a lot of excitement centered around this meal so taking photos while standing still was a bit difficult. Wait, what’s this? Balsamic Syrup and Goat Cheese? I don’t think we’re in 1957 anymore. These additions catapult the steak into gourmet, almost girly territory. 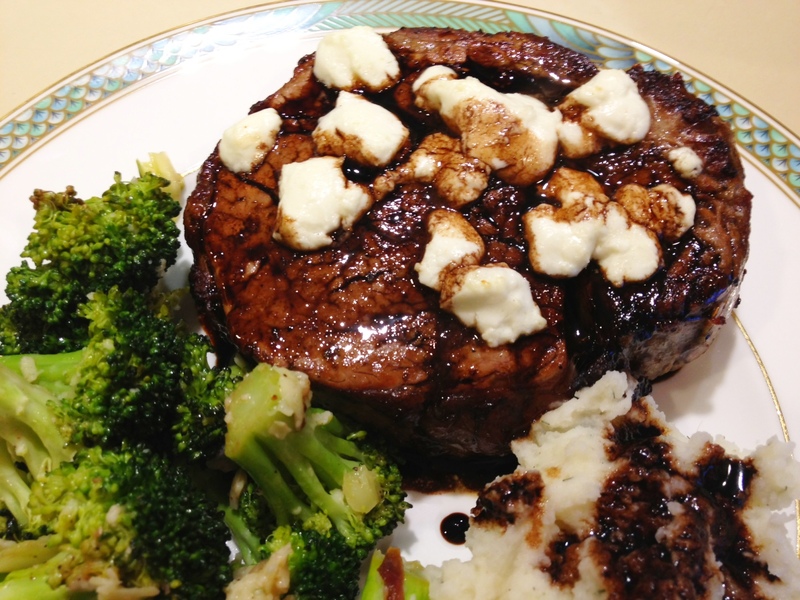 Basically, it is the perfect steak to make your average dude, because I can tell you right now no average dude is going to spend 18 minutes making balsamic syrup and adding melted goat cheese as the finishing touch. Boil the balsamic vinegar and sugar in a heavy small saucepan over medium-high heat. Stir occasionally, until reduced by about half, about 18 minutes. 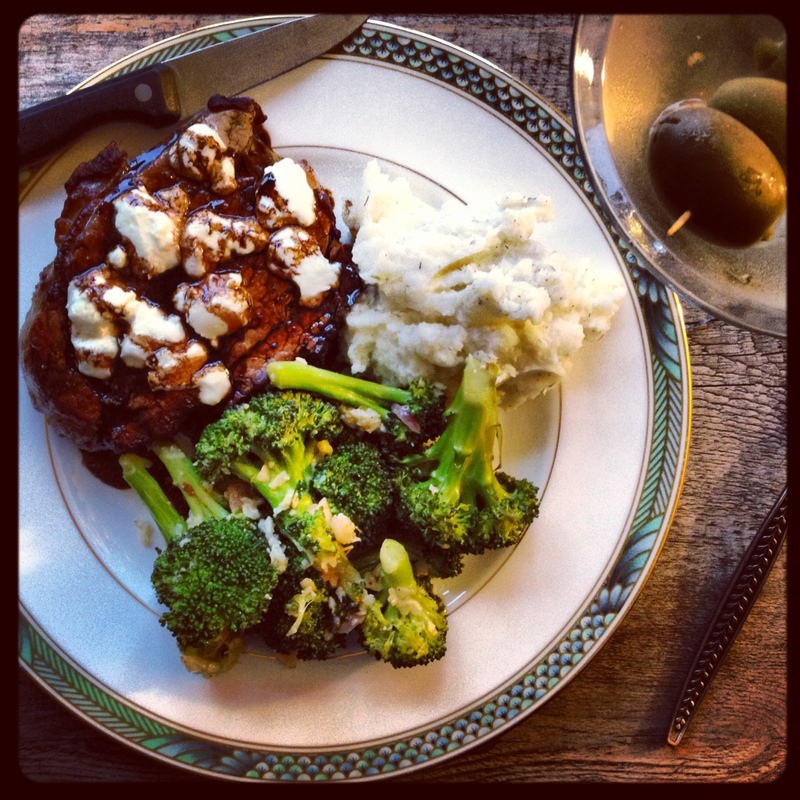 I can’t believe you threw this together for a weeknight dinner!